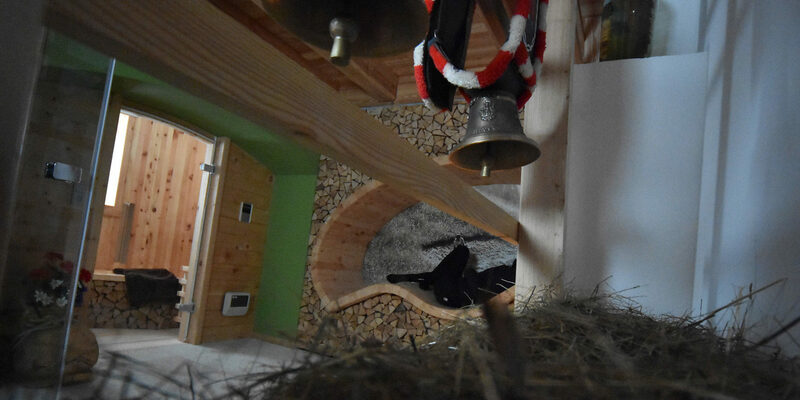 Your stay could be delighted by the therapeutic perfume of biological hay. You could relax reading a book while laying on the Cirmolo* wood chaise longue, surrounded and hugged by Chestnut wood walls with colorful lights. 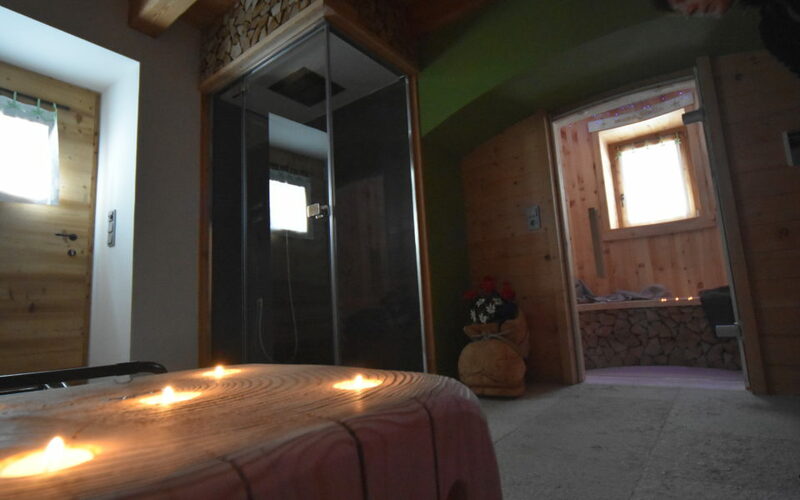 You could free yourselves from weariness in the scented Finnish sauna, with a starry sky, entirely made of Cirmolo wood, *an Alpine wood with specific relaxing peculiarities that lowers the cardiac rhythm and transfers a positive motion. You could enjoy the relaxing atmosphere of a Turkish bath with chromo therapy and then sip on a biological herb tea in the sweet company of warm candle light. The use of our Private Wellness Spa is reserved exclusively to our guests and can be booked just by one suite per time!